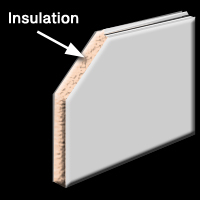 Insulated Doors act the same as the insulation in your home. They help keep it warm in the winter and cool in the summer. The can also reduce some of the noise outside of your business. Insulated doors usually pay for themselves in the first 4 years of use. The can help you with energy bills all year long. While energy efficient and acting as a noise reduction. 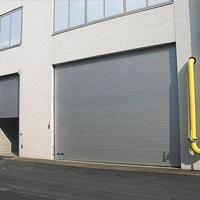 Insulated Doors also incorporate structural strength in the Roll Up Door/Sectional Door. Insulated Doors do well in places of extreme temperature and weather conditions, as well as helping with costs anywhere all year long. Our experienced overhead door repair team can repair and service all brands and models of Insulated Doors. If your doors are older or new, we can fix your problem. Give us a call. Not sure if Insulated Doors are right for you? Our install team can walk you through all the options and help you determine which option is best for your business.